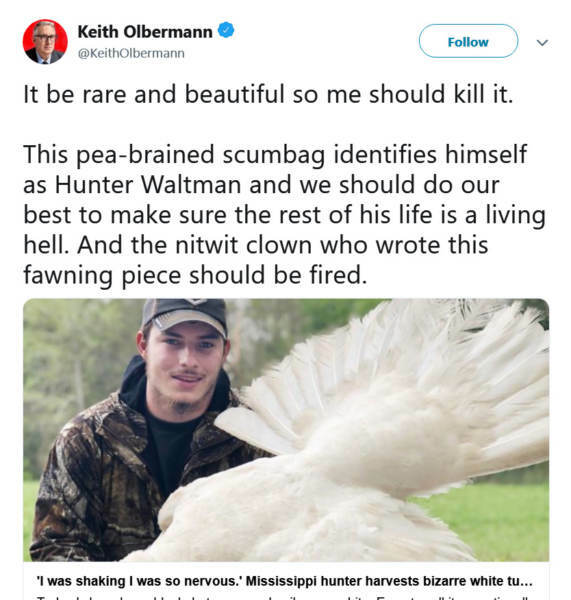 Keith Olbermann Apologizes to Turkey Hunter; Twitter Takes Down Tweet That Called to Make His Life "Living Hell"
ESPN host Keith Olbermann apologized to a Mississippi turkey hunter Wednesday night for urging his one million Twitter followers to make a hunter’s life a “living hell” for his lawful shooting of a rare white feathered wild turkey during hunting season. 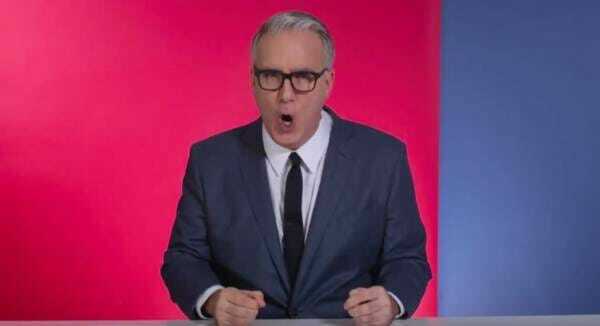 Twitter took down Olbermann’s threatening tweet after leaving it up for about 24 hours. 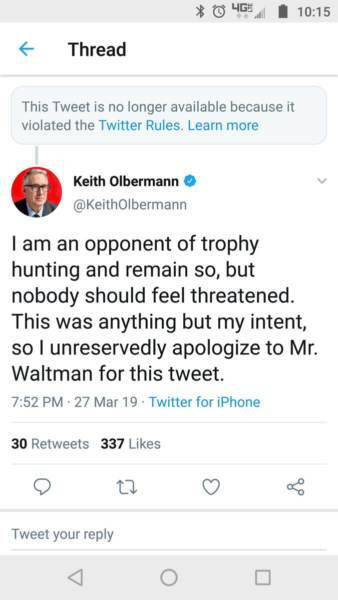 Screen image with notice form Twitter that Olbermann’s threatening tweet was taken down. Olbermann attacked the hunter over an article published by the Clarion Ledger. Their latest report can be read at this link.